Joanne O’Sullivan is a journalist for the Asheville Citizen-Times. She lived in New Orleans for several years and returns to southern Louisiana frequently. 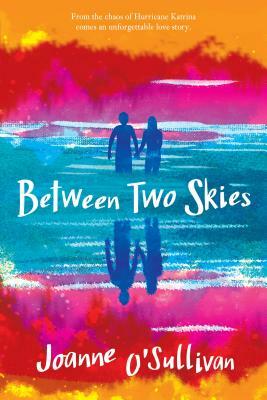 Between Two Skies is her debut novel. She lives in Asheville, North Carolina, with her husband and children. What separates Evangeline's story from the myriad others that have come and gone in the wake of one of the nation's worst natural disasters is O'Sullivan's deft lyricism...O'Sullivan's light touch and restraint will allow readers to follow Evangeline as she stands howling into the wind that howled into her. O’Sullivan’s debut novel excels in its expressive language and the use of place: a colorful home, a city that contrasts what Evangeline has lost, and the aftermath of the storm that destroyed nearly everything she holds dear. Told in a strong, purposeful voice filled with controlled emotion and hope, the impact of Katrina on families is as compelling as Evangeline’s drive to regain her sense of self and belonging. Between Two Skies by debut author Joanne O'Sullivan is a delicate, captivating story; her descriptions of Katrina and its monstrous damage are vivid and heartwrenching...Resonating with emotion and daring to bring readers into the heart of the south at a time of great sorrow and great joy, Between Two Skies is a multifaceted look at the places we call home and what it means to return. This tale reminds readers that there were millions of people all over the gulf affected by [Hurricane Katrina] and that for many, the horror of the event was only beginning, not ending, when the skies cleared. A compelling novel with a tender romance, this debut is a great choice for teens who appreciated Jewell Parker Rhodes’s Ninth Ward or Denise Lewis Patrick’s Finding Someplace. O’Sullivan’s first novel, an elegantly written coming-of-age story set against the backdrop of Hurricane Katrina, opens in the village of Bayou Perdu on the Gulf of Mexico on the eve of Evangeline Riley’s 16th birthday...O’Sullivan creates suspense on several fronts and gives Evangeline a lyrical and endearing voice. This is an interesting exploration of the changes that come well after a disaster is over, and it would especially make a thoughtful addition to the books that cover Hurricane Katrina’s more immediate effects. This is a good romance and family story, as well as one that depicts the effects of depression. Readers will also learn about the people who lost their homes and ways of life after Hurricane Katrina. Young adult readers who want a realistic romance with lots of emotion will enjoy this book. In addition to an engaging and poignant depiction of Evangeline’s tale, O’Sullivan treats us to the elegant presentation of salty-sweet characters in an engaging can’t-put-it-down read.